One of the menopausal symptoms is the cessation of the production of the vital female hormones, progesterone and estrogen. This is the time when women experience hot flashes, osteoporosis, fatigue and vaginal dryness. The ovaries will stop producing eggs, periods will become less frequent and eventually cease altogether and estrogen and progesterone levels decrease. As these hormonal levels go down, the severity of the symptoms increase and lead women to seek relief. Estriol is a type of estrogen that is naturally produced in the human body. It is one of the three different types of estrogen which also include estrone and estradiol. Estriol provides the benefits of estrogen while exerting weaker estrogenic effects. Estriol also has demonstrated its ability to increase bone density, improve heart circulation and post-menopausal genitourinary health. Many years ago the only thing that was known about estriol was its significance during the gestation period. Pregnant women exhibited estriol levels as high as one-thousand times the level of a non-pregnant women. The sixties brought hormone replacement therapy into the limelight. Drug companies quickly patented hormone replacement drugs such as: Premarin (equine estrogen) and Provera (synthetic progestin). In the 1990’s, as many as 32% of women past the menstrual age were taking Premarin. Along with this increase in women on these drugs came the increase in hormone induced disease like breast cancer, cardiovascular diseases and blood clotting disorders especially during the use of these equine and synthetic hormones. Premarin has also been shown to improve bone mineral density levels. During pregnancy when estriol levels are greatly elevated this affects the way the immune system reacts to certain antagonists and in effect provides protection from, and improvement of, certain autoimmune conditions such as multiple sclerosis. It also has beneficial effects on the urinary tract protecting against recurring urinary infections and incontinence. 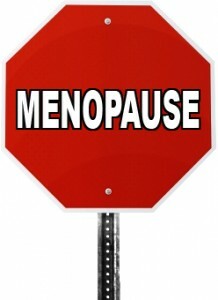 There is a product that has helped relieve hot flashes and other symptoms for thousands of women. It contains all-natural plant derived progesterone and the estrogens. 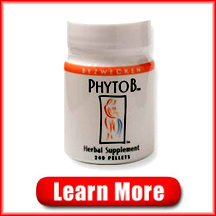 The manufacturert is Bezwecken and it is called Phyto-B. This remarkable product is a small sublingual tablet which means a quick efficient absorption process.